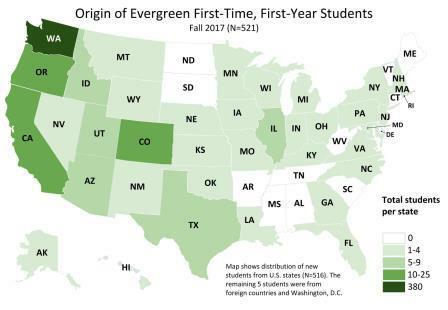 This map shows the origin of first-time, first year students entering fall 2018. Click on the map image to open a full-sized PDF of the data map. 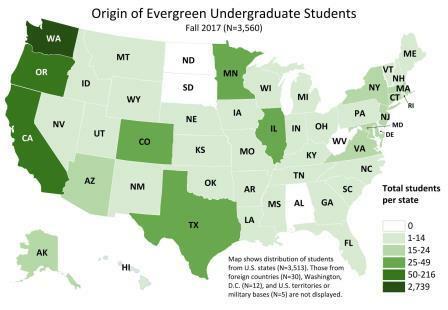 This map shows the origin of degree-seeking undergraduate students attending in fall 2018. This map shows the origin of first-time, first year students entering fall 2017. This map shows the origin of all undergraduate students attending in fall 2017. This map shows the origin of first-time, first year students entering fall 2016. This map shows the origin of all undergraduate students attending in fall 2016. This map shows the origin of first-time, first year students entering fall 2015. 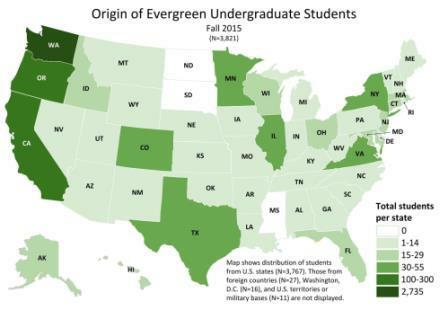 This map shows the origin of all undergraduate students attending in fall 2015. This map shows the origin of first-time, first year students entering fall 2014. This map shows the origin of all undergraduate students attending in fall 2014. This map shows the origin of first-time, first year students entering fall 2013. This map shows the origin of all undergraduate students attending in fall 2013. The Office of Institutional Research and Assessment produces data maps using Geographic Information Systems (GIS). Mapped data includes the geographic origin of students and estimated distances traveled by students and employees to the Olympia campus for commute trip reduction discussions. 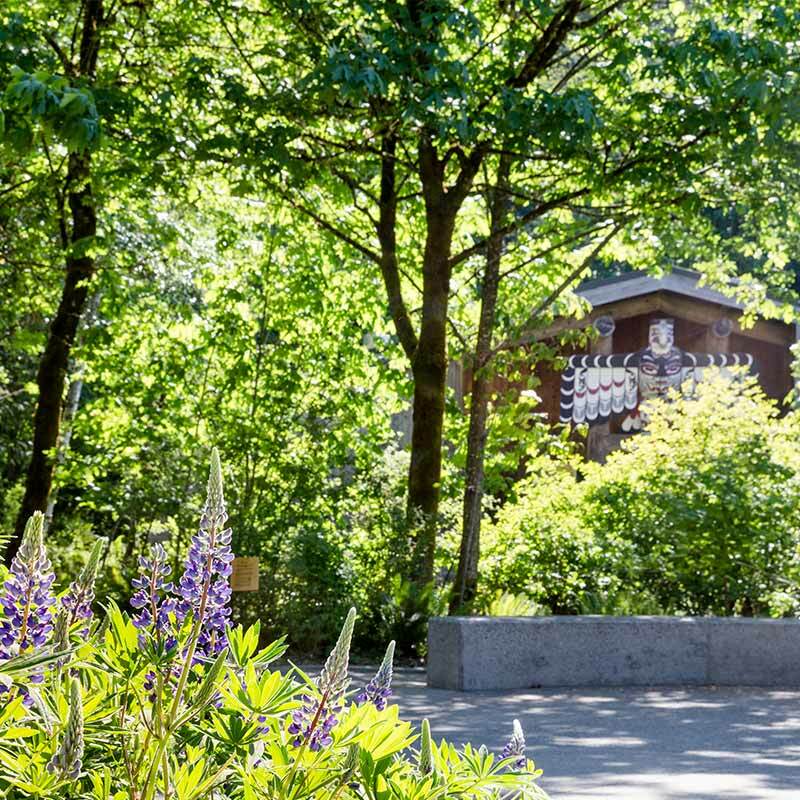 Additional GIS information is available about GIS in institutional research, the Evergreen GIS Users Group, and other resources for GIS.